Videos are increasing in popularity every day. From tutorials to commercials using a visual presentation to describe your product or idea is becoming essential. There are a ton of different ways to create videos but below I have listed the ones I like and have used. They vary in cost and experience level but I have been successful with each of them. Procamera App is what I currently use on my IPhone to record all of my video. This app will open up your IPhones amazing camera and allow it to record footage that rivals many of the professional cameras out there. It is extremely easy to use and will take you very little time to learn. Of all the apps I have on my phone this is the most valuable one I own. 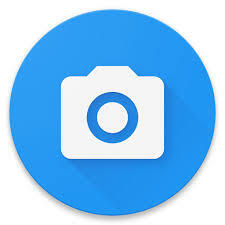 The Android version of ProCamera is Open Camera . There are a FEW settings this doesn’t have but when I had my Android phone it recorded amazing footage. Simple to use and completely free of charge to install. Learning this app can be done in a few minutes as it’s layout is really simple. A must have if filming with your Android. Filmic Pro is another fantastic app that you can get on both Apple and Android. I really loved using this app but it almost had too many options for me. It is the most advanced camera/video app you can get and it has levels of control that go well beyond what your average person would need. The only issue I had with Filmic was some grainy video in low light but I think that’s probably more user error than anything else. If you don’t feel comfortable filming yourself I’m available to film your project, commercial, or event. I have my pricing listed but most projects are specific and I’m more than willing to provide you a quote. 4k Filming onsite per hour. Raw files will be provided to customer with full commercial rights to the footage. Files will be marked and organized for customer for ease of editing.